Thank you for all of the little things. Whether you joined us for the fabulous Wentworth-Douglass Golf Tournament or supported us during NH Gives, your support has made a world of difference for our smallest of patients. Thank you! On June 26th we celebrated the 23rd annual Wentworth-Douglass Foundation Golf Tournament, presented by Tufts Health Freedom Plan. Thanks to the generous support of our patrons including sponsors, golfers and community, we raised a total of $117,000 to directly support the Women and Children’s Center, the leading provider of pediatric care on the Seacoast. Thank you! Generous donors throughout our community celebrated NH Gives by raising $9,370 for the Women and Children's Center at Wentworth-Douglass. These gifts are making care better everyday for our youngest patients and their families. Your support has helped to provide smiles to our pediatric patients when they are stressed and dealing with pain. While providing a distraction like an iPad may seem like such a small thing, it can make a world of difference. 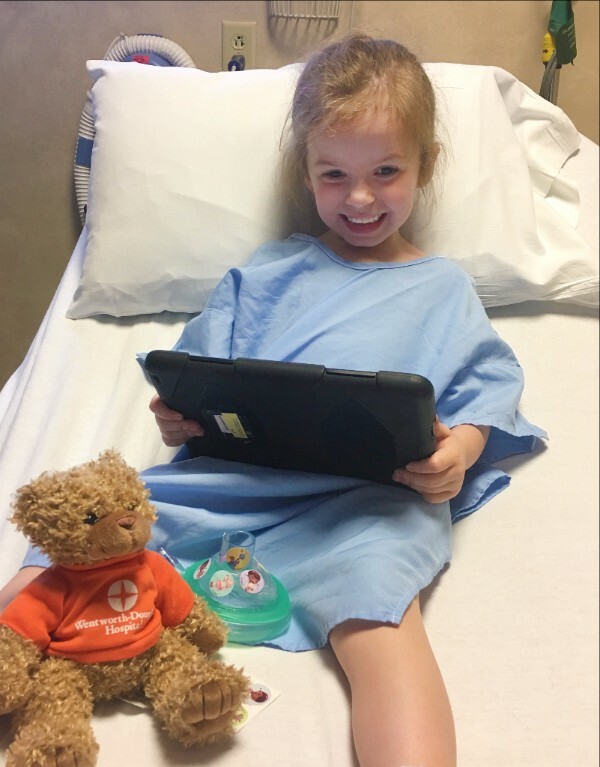 A research study presented by the World Congress of Anesthesiologists found that using iPads to distract children before surgery was as effective at lowering their anxiety as sedatives. In addition, parental satisfaction and quality of anesthesia induction was higher in children using iPads. Thanks to the generosity of donors, more than 1,500 pediatric patients have benefited from the use of an iPad this year. 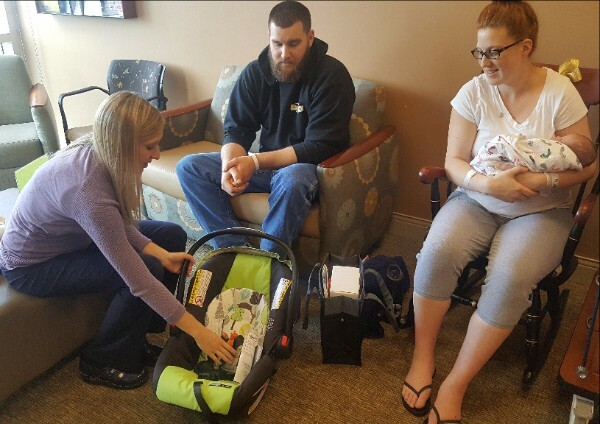 Every family leaves Wentworth-Douglass knowing how to safely secure their newest family member into their carseat. About 90% of the seats our certified car seat passenger safety technicians check are installed incorrectly. If a family doesn't have the means to purchase a safe carseat, has an expired carseat, or needs a special adaptive carseat due to an injury, donations make it possible for us to send them home with one. Thank you for making sure our smallest blessings have a safe ride home. 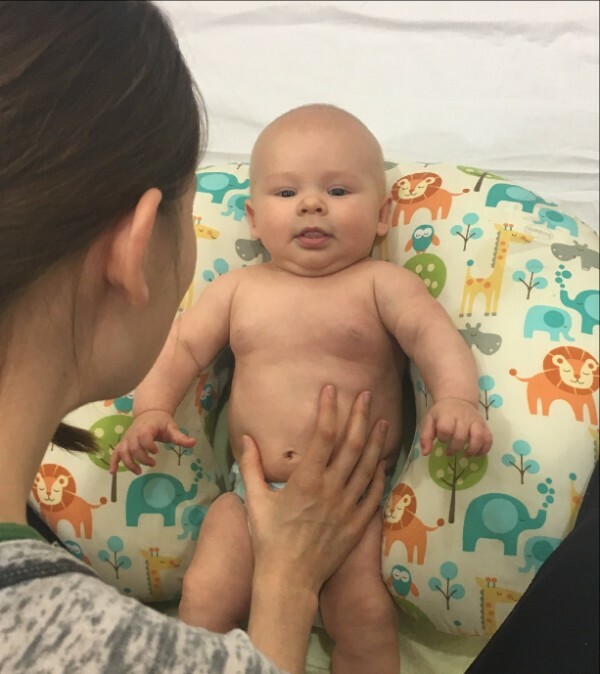 Donations to the Foundation have empowered new parents with the skills to calm and soothe their babies thanks to Infant Massage Classes. These skills become invaluable when sleepy parents are combined with cranky babies. Parents learn skills to soothe themselves and their little ones. These happy mammas and babies just finished a class - those smiles tell it all. Every family that delivers at Wentworth-Douglass is offered a CPR Anytime Kit to teach parents and caregivers life-saving skills. CPR Anytime Kits are shared on average with an additional two family members, greatly broadening the reach of this resource to families across the Seacoast. Thank you for helping to ensure our tiniest new patients have the best chance for a safe and healthy start. General Linen Service LLC is a proud supporter!